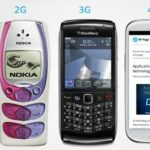 You are here: Home / RF networks / Are We Safe From Cell Phone Radiation? Cell phones and other mobile devices are inevitable for us and it has become integral part of our social and professional life. The users are spread over all the age groups from toddlers to old people. Specification and model varies from basic type to high end smart devices. Are mobile transmitting devices safe for our body? Every mobile device is a two way radio transmitting device which sends and receives signals for communication. These devices are operating in the microwave range of radio frequency spectrum. Researches shows that frequent usage of mobile phone could cause health problems in human body. SAR is a measure of amount of radio frequency energy absorbed by human body when exposed to electromagnetic radiation. FCC has strict guidelines for public exposure of electromagnetic radiation and limits SAR level of 1.6 watts per kilogram (1.6 W/kg). A cell phone always communicates with its base stations and updates the user’s locations. Once the user move to other cell location where it’s received signal strength is greater than the first base station, it will switch the connection to the second base station. When the user move to an area with the cell network coverage is poor, mobile device use maximum power to send signals to base station to remain connected. At idle condition, cell phones use less power to operate. 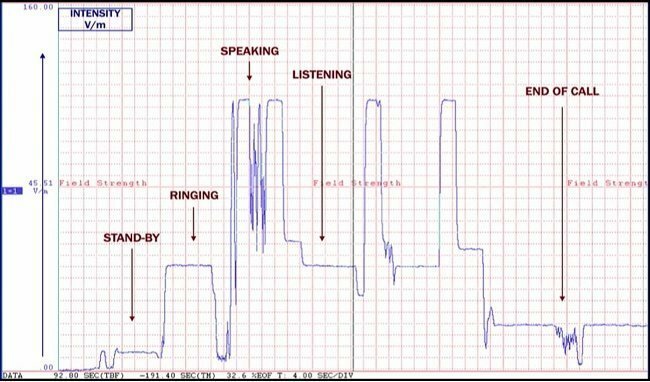 During a call, power of the signal varies depends of the systems, modulation schemes and nature of network. These variations in RF exposure have significant effect on human body over time. We do not have a statistical data of many decades but it has been confirmed that heavy usage of mobile devices could contribute to many types of tumors. Devices fall under operating range of a microwave are believed to be unsafe for long term usage. 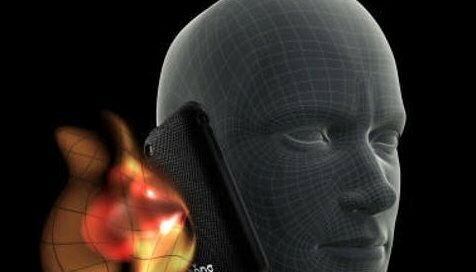 It has been observed that during a 6 minute phone call, our brain temperature will rise up to 7 degree Fahrenheit. 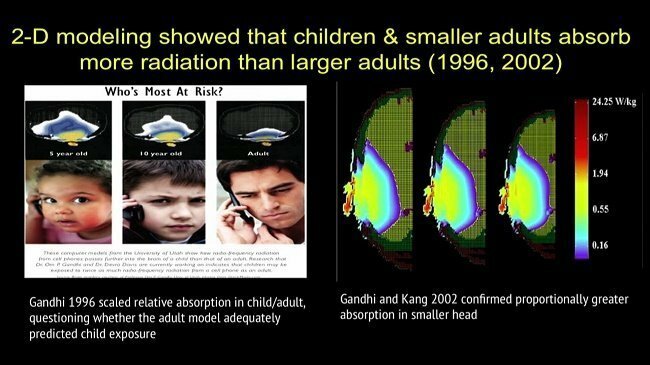 Complex 3D simulation shows that young kids have greater level of radiation absorption compared to adults because of smaller head size and tissue complexity. Similarly, use of mobile phones cause could damage to male reproductive system. 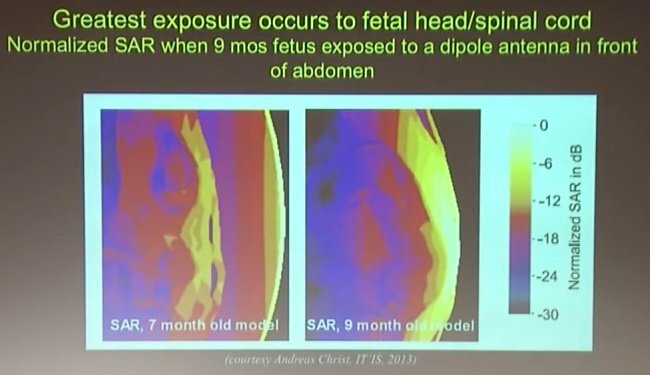 RF exposure has also been studied on pregnant women and found that microwave radiation could affect fetus. Long term exposure of WiFi signals also could be harmful for pregnant women. How to find RF exposure level on mobile devices? Dial *#07# for most of the devices to find SAR ratio. If the SAR value is greater than 1.6, it is not safe to use that device. How to use mobile devices safely? Make use of inbuilt speakerphone when possible. Use headphone for long conversation. Utilize wireless headsets like Bluetooth devices. Keep away from direct contact to lower body even not calling (mobile devices continuously communicate with its neighboring base station tower). Keep mobiles and tablets on flight mode before give to kids for games or watching video. Move to an area where more cell phone coverage available. 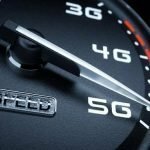 There are no easy solutions to completely get rid of the RF exposure while using mobile devices. Some experts suggests than RF shielding could help to reduce direct exposure of microwave signals to our body. Effective casing for smart phones are under development, it has yet to be tested and approved by the regulatory authorities.